The Journal of Financial Economics began a new section containing applied papers and case studies in 1989. This section provides a high-quality professional outlet for scholarly studies of actual cases, events or practice. Such phenomena provide a rich source of data that illustrate or challenge accepted theory and lead to new insights about the world. 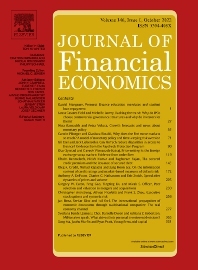 These studies currently have few professional outlets, and with this section The Journal of Financial Economics takes a leading role in encouraging such work. Applications and case study papers are often different in form, scope and content and can be more conjectural. The papers deal with issues that are often less quantifiable, more descriptive and normative than usual. Papers that raise a new question or pose an old one in an innovative way and papers that test theories in specialized ways or document interesting phenomena which are likely to stimulate new research are emphasized.